In this week's Abundance Insider: Pain-sensing e-skin, expert-level AI debaters, and the first robotic eye surgery. What it is: OpenAI, a research project led by Elon Musk and Sam Altman, built and trained a team of AI agents that can beat the top 1 percent of players at DOTA, a massive online strategy game. The AIs were trained under very narrow conditions, particular to a dumbed-down version of DOTA2. What’s especially cool about this OpenAI bot is that it learned to play DOTA with long-term strategy — winning hourlong multiplayer games. What it is: Researchers from the University of Oxford’s Nuffield Department of Clinical Neurosciences have created the first robotic system, PRECEYES, to operate on a human eye. Inserting the robot just under the pupil via an incision less than 1 mm in size, the surgeon then operates it via a joystick, which eliminates the inevitable hand tremors that even the best surgeons cannot avoid. The robot conducted two routine procedures -- removing a membrane from the retina and dissolving hemorrhages under the retina -- and in both cases, the result was as good or better than unassisted surgery. What it is: IBM’s AI system Project Debater recently engaged in live public debates with humans for the first time ever. Facing 2016 Israeli national debate champion Noa Ovadia, Project Debater debated the question of whether “we should subsidize space exploration.” Mastering the formalized debate structure (entirely unscripted) on a challenging and controversial topic, IBM’s AI won over a majority of audience members, who thought Project Debater enriched their knowledge more than its human counterpart. Progressing to a second debate against debate expert Dan Zafrir, Project Debater continued to provide strong evidence within topics on which it had never been trained, a major indication that we are moving towards AI systems that can tackle complex issues without prior screening. Prosthetic Hand Can Sense Pain Using "Electronic Skin"
What it is: Scientists from Johns Hopkins University have developed an electronic skin, or “e-dermis,” that can fit over a prosthetic hand. Built with two layers that together mimic receptors in our body, this engineered skin captures a range of touch sensations, including the complex feeling of pain. Working with an amputee volunteer, researchers applied electric pulses to stimulate the participant’s nerves, as he offered feedback on sensations in his phantom hand. Researchers then used these stimulation patterns to provide sensory feedback to the volunteer’s brain as he interacted with different objects using his prosthetic hand. 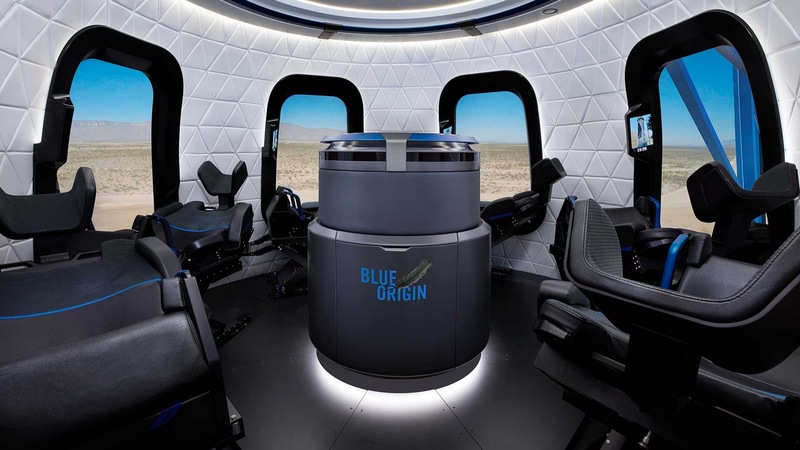 What it is: Blue Origin, one of the biggest players in the new commercial space race, announced that its New Shepard launch vehicle will be open for commercial ticket sales in 2019. Beyond announcing their planned manned flights and 2019 sales target, details on pricing and the experience are scant. What it is: In New South Wales, Australia, a biohacker named Meow-Ludo Disco Gamma Meow-Meow recently had his conviction overturned for implanting an Opal metro chip into the back of his hand. Transport authorities claimed that because he wasn't able to present his ticket to officers when asked, he had violated the terms of service. The Judge disagreed, arguing that he was not tampering to avoid payment.